I’ve flown into and out of Madison, but I’ve never flown over Madison until a couple of weeks ago. 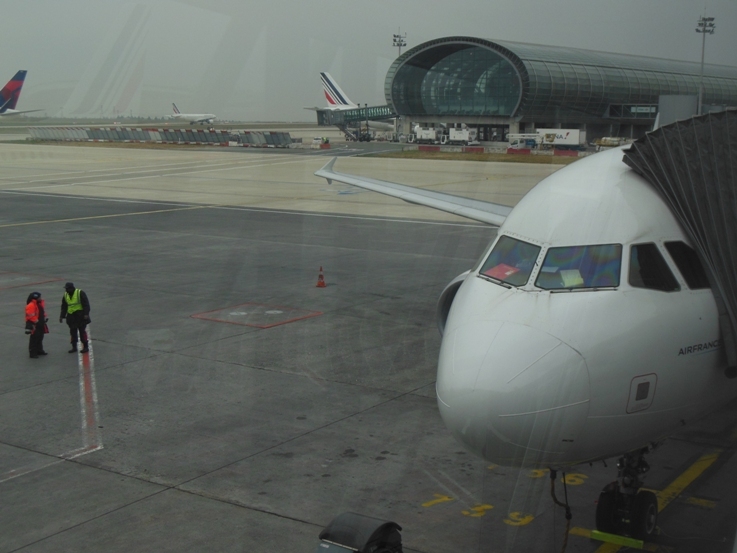 A much-anticipated trip to Israel began with a zig-zag start: bus to O’Hare, short hop to Minneapolis, and then an overnight flight to our connection in Paris. 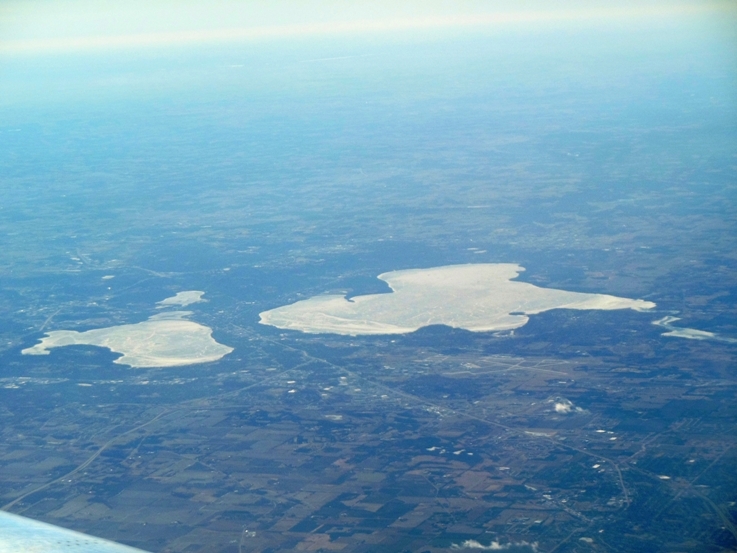 Madison’s most distinctive feature, the four lakes. Can’t see much from that height besides the lakes and the major roads. 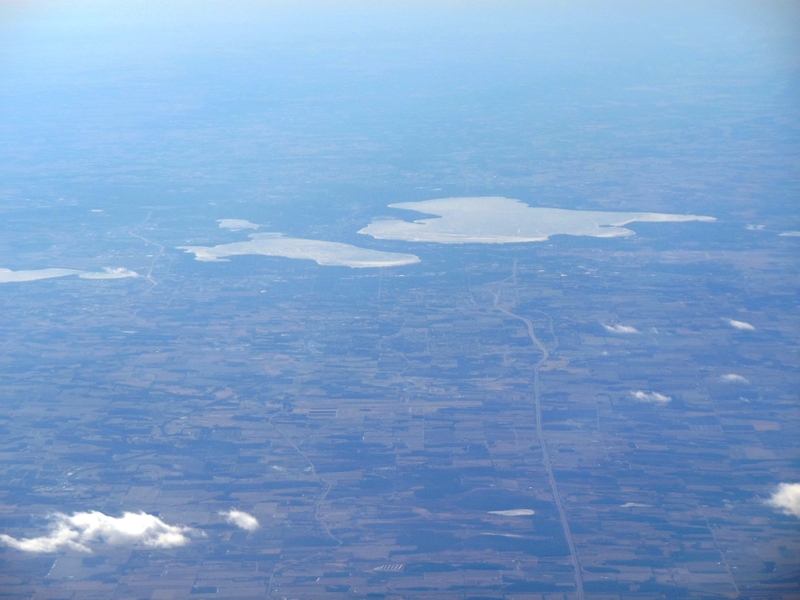 Lakes Mendota and Monona, and the major roads. 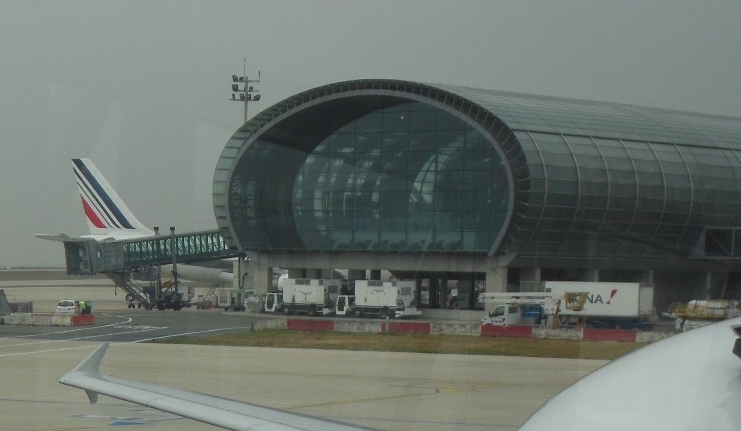 It’s been over 20 years since the last time I flew into Paris, and once again I got no closer to that beautiful city than the airport. I was worried about our tight connection in Minneapolis but we made it. 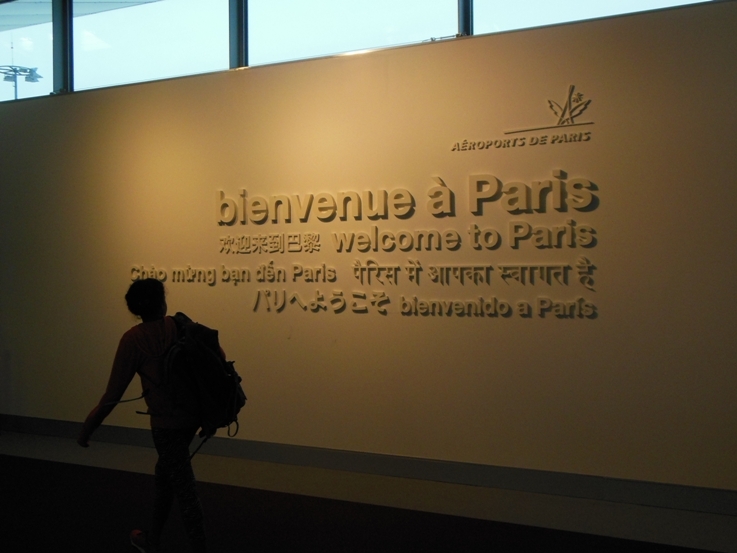 And that meant we made our connection in Paris with no problem. On our return flight I discovered something very important about making connections in Paris. Take a look at the terminal in the upper right hand corner. Yes, those are lounging chairs lined up in front of the window, overlooking the flight apron. What a way to relax between flights, especially intercontinental flights. Let’s hear it for the French! 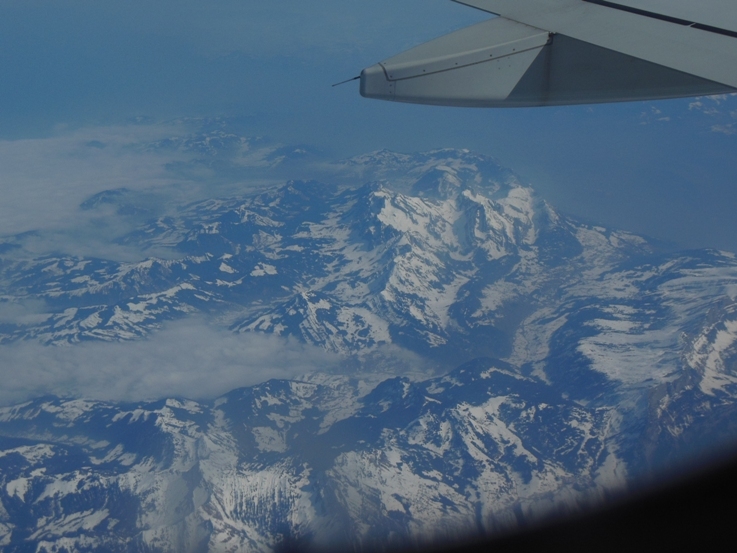 We took off and flew over the forbidding Alps. Little did we know that on our return flight ten days later our flight path would intersect with the flight path of the Germanwings plane that crashed into an alpine mountain, killing all aboard (not directly intersect, but within hours of each other). 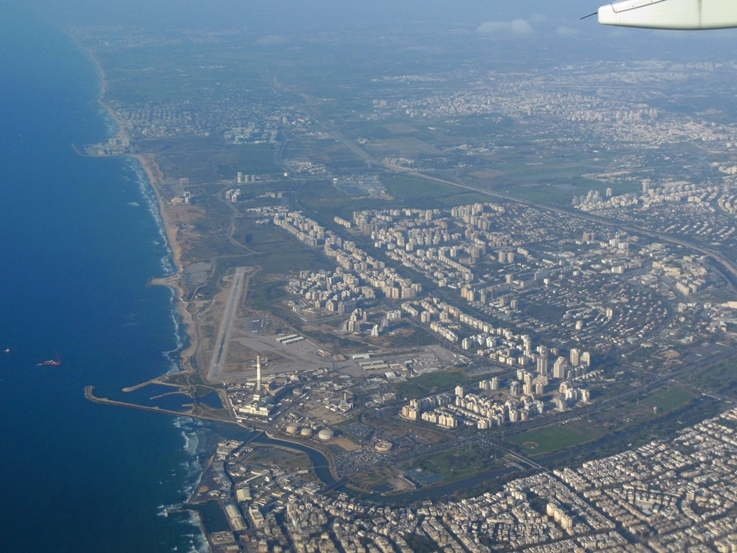 A few more hours flying over the sunny blue Mediterranean, and suddenly we were over the coast of Israel! The Yarkon River, in North Tel Aviv. On my first trip to Israel I worked on an excavation at the headwaters of the Yarkon River. 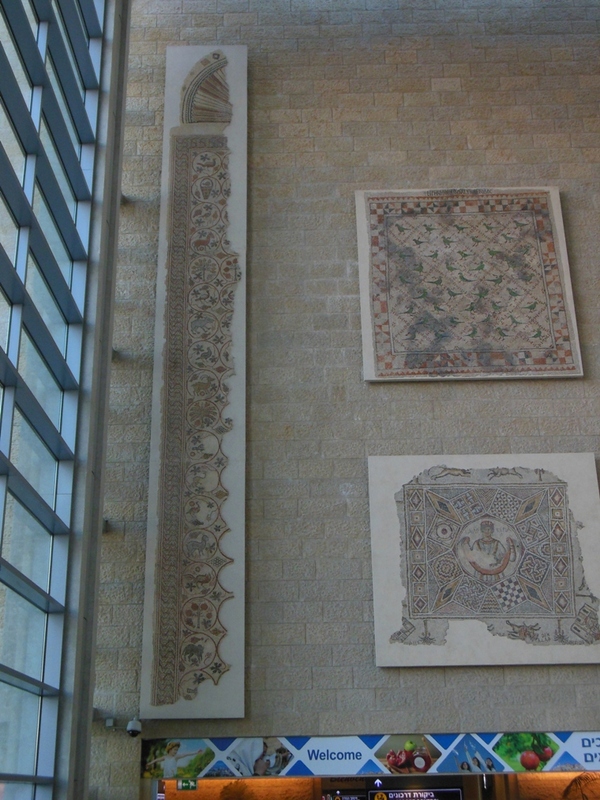 The pilot circled around Ben Gurion airport and landed, and soon we were greeted by a beautiful archaeologically themed welcome display. 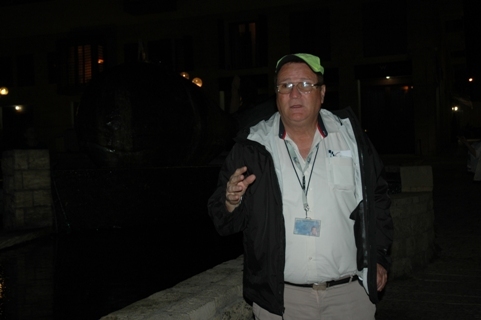 Soon we met the rest of our group, and our guide, Shlomo Ben Asher. 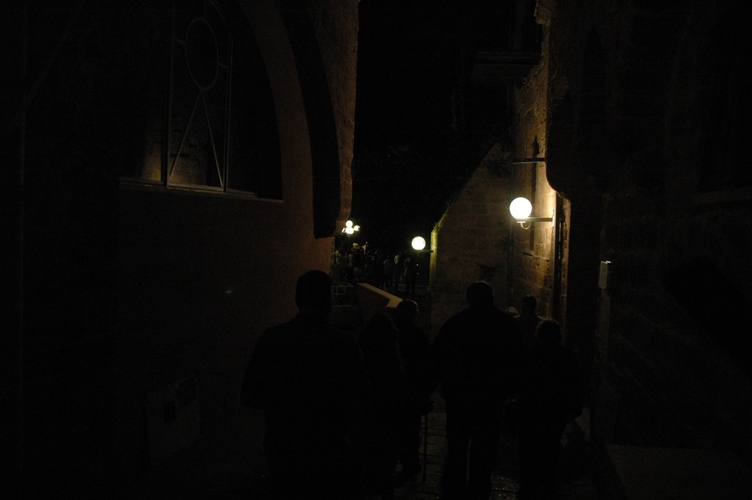 The day wasn’t quite done yet, Shlomo took us on a short walking tour of Joppa. 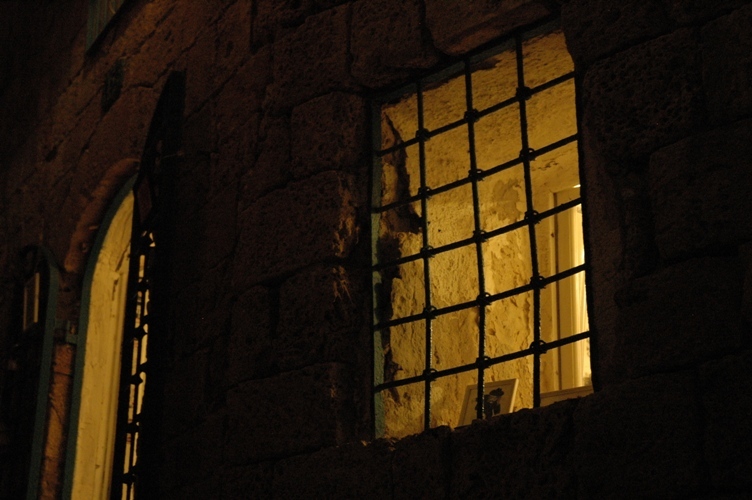 Joppa figures prominently in the story of Jonah, of course, and St. Peter, neither of whom was about at that hour of the evening. 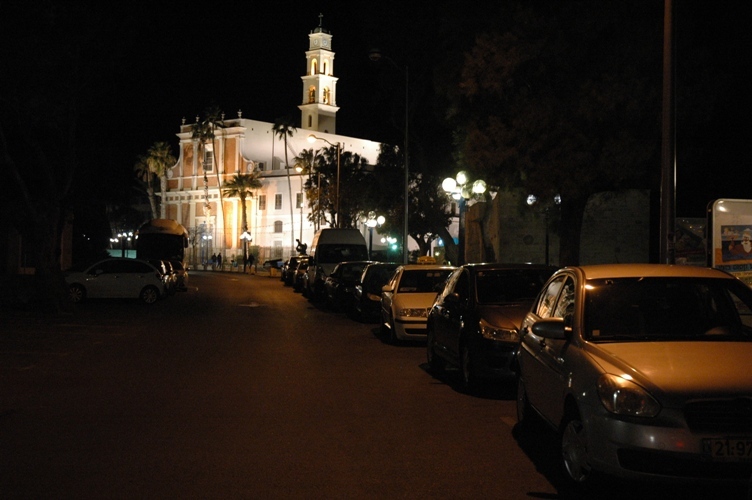 Although the church of St. Peter is a prominent Joppa landmark day or night. 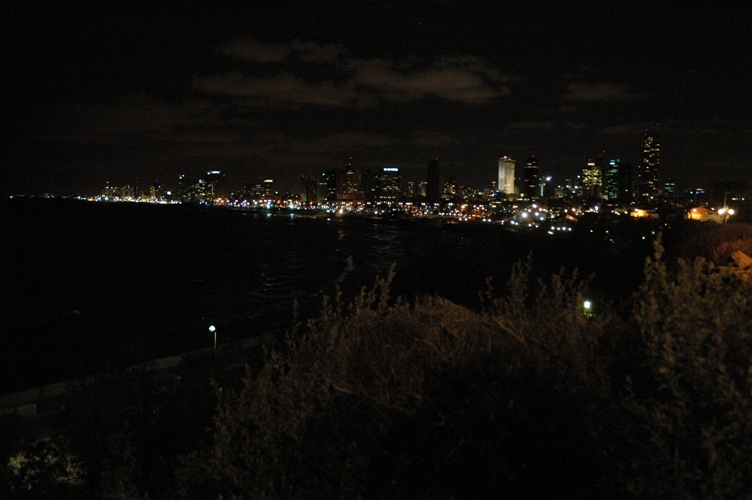 And the Tel Aviv waterfront is also a stunning sight at night.